List of councillors and their responsibilities (Transparency code paragraph 23). As chair of the council Garry Taylor is the third generation of the Taylor family to serve the residents of Acaster Malbis. Garry first joined the council in the 1990's. His knowledge of past events and activities will be a great help to the council and parish during this period of great change in legislation and transparency. Matt Davies is semi-retired following a 34 year career in international freight forwarding, logistics and customs brokerage by air, sea and land. Matt has lived in Acaster Malbis for nine years and was a resident of Bishopthorpe for nearly 20 years. He also spent many years in Acomb as a volunteer control room communications supervisor with the Royal Observer Corps. Matt is the only person who is actually employed by the Parish Council. He deputises at Yorkshire Local Council Associations meetings if either of the two appointed council members are not available. Cllr Harlington is a qualified mechanical engineer and resides on Mill Garth Park. His responsibilities on the council are the representation of other residents on Mill Garth and acting as the council’s webmaster. Although the Parish Council is not legally required to appoint a Data Protection Officer the council has resolved to appoint Pat to undertake this role on a voluntary basis. He does not represent the council on any outside bodies. Councillor Hawkins is a former Business and Facilities Manager having worked predominantly within the electricity utility and healthcare sectors. His responsibilities on the council are the representation of residents at Mill Garth Park and police liaison. Brian is one of the three members of the Parish Council planning committee. He does not represent the council on any outside bodies. Cllr Smith is a retired Magistrate and has resided on Mount Pleasant Park for the last fourteen years. Her main responsibility on the Parish Council is dealing with Planning Applications and listening to views or concerns from residents. She also monitors the internet banking. 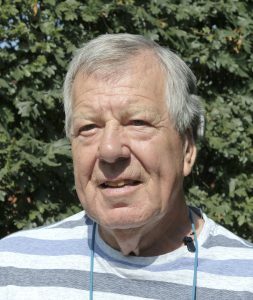 Cllr Walker is a retired salesman who resides in Moor End; he is Vice Chairman of the Parish Council and sits on the planning subcommittee. He is also one of two Councillors who attend Yorkshire Local Councils Associations meetings. Rob is a veterinary surgeon who moved to the village in 2013 with his wife and young family and now wishes to become more involved in the local community. His initial task has been been to start a complete review of the village's current tree preservation orders compiling a comprehensive tree register in the process.